“I look back today at some of the ways I’ve talked casually about people and gender identity and sexual orientation and I wonder who that even was. 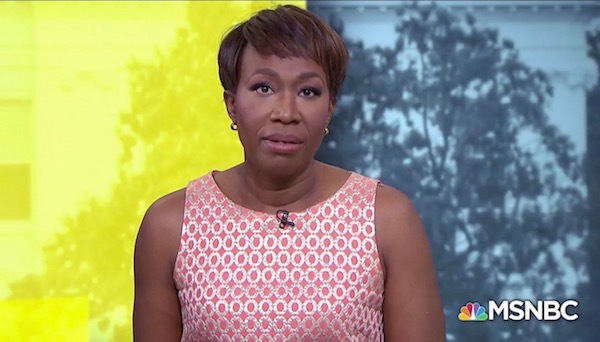 But the reality is that like a lot of people in this country that person was me” – MSNBC anchor Joy Reid. Unless you’ve been living under a rock you’ve likely heard about the recent revelation of homophobic and transphobic Tweets and blog posts from MSNBC’s Joy Reid. Some members of the LGBT community have given her the benefit of the doubt relatively quickly while others have accused her of outright lying, saying that she is simply trying to salvage her career. I have remained relatively quiet on the subject until now, as I needed to further study the situation. Many of us of a certain age who grew up in certain parts of the United States can likely relate to where Joy’s coming from and to her evolution. I know I can. It was hard enough coming to terms with my own sexual orientation, which, to be clear, I believe with every fiber of my being I was born with, but as I became aware that some folks actually struggled with their gender identity I too was guilty of not understanding and reacting based on fear rather than understanding. It’s not been until relatively recently in the grander scheme of things that my thoughts and beliefs have evolved. I am confident that Joy’s have as well. I know that for me LGBT issues are a big thing. They haven’t always been, and I have acknowledged that I too was one of “those gays” that other activists talked about. I can’t help but wonder if the same is true of Joy. We each have our own timeline. I for one am happy to have someone with her presence as an ally so I personally choose to forgive her and move on. CLICK HERE to watch Joy’s official apology.